Some people live their life in a conventional manner; they like to live within the defined bounds of society. Then there are others who like to live by their own rules. They do whatever makes them happy without worrying about what others will think about them. The latter category usually comprises of the eccentric people who’re a little weird but quite happy. Listed up in this post are over 33 photos of people who like to live life by their own rules. Some of these photos are quite hilarious. 16 My life my rules! 20 I do what I want. 23 The older generation don't want to keep up with modern technology. 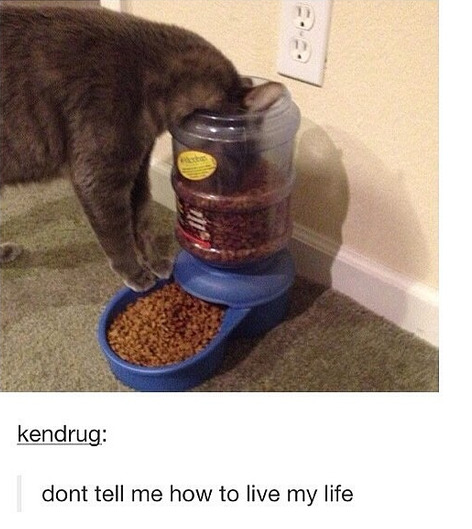 33 This cat is the epitome of a rebel.